Still not sure whether I will be going anywhere tonight but I think it's unlikely as saving myself until tomorrow and I didn't get much sleep last night anyway. Just watching footage of upcoming releases and it's amazing how far the videogame industry has come over the last couple of years. You will likely notice that I comment on the Xbox platform a lot but I also follow what goes on with the other platforms as well it's just that they aren't on the market yet. And also what can they offer for my preference that the 360 experience doesn't other than Mario and a few other exclusives. I remain unconvinced Sony and Nintendo but looking forward to what you will bring to the table. 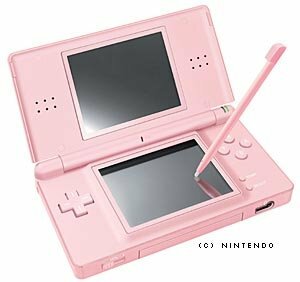 On the subject of Nintendo and it's my daughters birthday in a few weeks and I preordered her a Pink Nintendo DS Lite today, looking forward to checking that out and I'll post some feedback on what she thinks of it. This next clip is really just a teaser but I think that the game will be massive when it's eventually released as it appears to offer so much that isn't linear. You can choose your gender and design the character and it will age depending on whether you are good/bad, rich/evil and depending on your character type. Also and this next part I have quoted from Team Xbox; A camp could turn into a village in a decade, and in another ten years time there will be a town in there. Or, if you destroy the camp, there won’t be an evolving settlement in there, so nature will take over that area. Sounds good to me and I hope that I will be able to make the time to play the game as it looks like there will be hours of replay value. Enough of my ramblings anyway, these are just a couple of the titles that are looking good on the Xbox 360 at the moment. Sites like Team Xbox, ign and Major Nelson's blog is where it's going on so head to these sites for the latest previews and media ! !